Smart note brokers and cash flow consultants are doing just that, keeping in touch, – with postcards. When you hear the words “picture postcard” you may think of pristine beaches or snow covered mountains. I think of notes, paper and money. To grow and sustain your note or cash flow business you need to keep your name in front of your referral sources, potential clients and note holders. Postcards are still a great way to do follow up and help you grow your business. Most of you know that a good portion of my marketing is dedicated to direct mail and that I do not recommend sending postcards for the first mailing (whether it is directly to note holders or to your referral sources) because in my experience I get a much better response with letters on the first mailing. However, for follow up, postcards have gained respectability as a marketing tool and a part in my marketing plan. Here are a few reasons why so many note brokers and cash flow consultants use them on a regular basis. Postcards are easy. Postcards keep everyone in the loop – new prospects, current customers, past clients – without a lot of effort. Compared to a traditional direct mail piece like a letter, postcards win hands down in prep time and in cost. There is no personal greeting, only a small amount of copy and no signature. There is no folding, licking, stuffing or sticking. Postcards are a very efficient marketing method when used properly. Postcards are fun. While business letters are constrained by formal rules of etiquette, no such rules apply to postcards. So postcards can be more creative. Sometimes we limit ourselves with standard letters, but with postcards you can play with size, shape, color and graphics without cost getting in the way. They can be contemporary, colorful, creative and intriguing. Postcards are economical. By using postcards for follow and for multiple mailings to referral sources you realize savings on paper, printing and labor costs. There is big savings on postage and there is no envelope. First class postage for postcards right now is 28 cents compared to 44 cents for a letter. Keep in mind that, according to US postal regulations, postcards must be between 3.5 by 5 inches and 4.5 by 6 inches and 0.016 inch thick to qualify for the first-class postcard rate. Oversize postcards are charged letter or large envelope rates. Postcards are a quick read. Postcards are appealing and quick. There is no thinking involved, nor a lot of copy to wade through. People’s attention spans are shorter today, and there is a glut of communication. Postcards are brief and to the point. Postcards are powerful. In spite of their size, postcards make a big impression. Postcards tell the message immediately. Their diminutive proportions ensure that there is less information on the page to take in – and that this information is specific and succinct. And because there is no envelope to hide the message, it’s absorbed instantly, consciously or not, even if the postcard goes right into the round file. A letter that goes directly into the trash, unopened, can’t compete. Postcards are keepers. Because of their size, postcards, when combined with a pretty picture, a funny sentiment or just plain useful information, grab attention and beg to be saved. You might see them pinned to a bulletin board, stuck on a refrigerator or tucked into a purse. This staying power, whether a result of design or content, means postcards have several more opportunities to make an impression on note holders, referral sources and potential clients – and their friends and business associates. 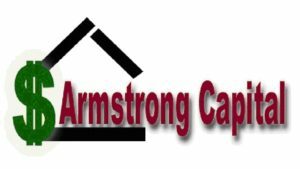 Armstrong Capital has long been sold on the benefits of using postcards for follow up and sequential mailing to note holders and referral sources. Although as stated above, I prefer to send the initial mailing with a letter and use postcards for multiple touches. Postcards are a great way to keep in touch with people. You need to understand the importance of being top of mind at just the right time, especially in our business. Postcards have been a regular part of our marketing plan since 1992 sending thousands of postcards per month for follow up. They help develop rapport with note holders and referral sources. They keep in touch with long time referral sources, who may feel neglected in the shuffle for new business. And they reach out to past note holders and clients. Plus, regular mailings increase word of mouth referrals too! Most note businesses and cash flow companies that I have come across have a binge and purge attitude toward marketing. They spend a lot of money on on-again off-again marketing tactics and lose contact with potential note holders and clients. A series of postcards enhances your relationship with your customers. If your note or cash flow business is looking for an effective way to stay in touch with its customers – drop ‘em a postcard every now and then.